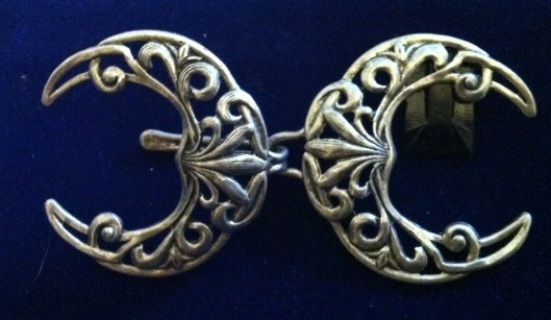 Here you will find a nice assortment of cape and cloak closures... 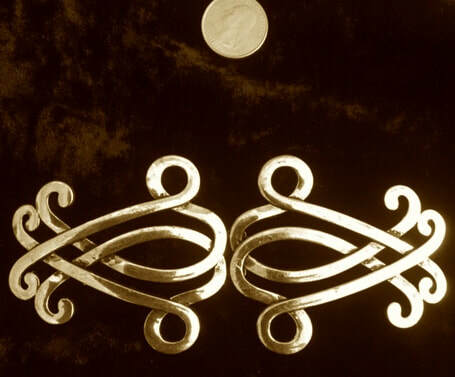 Some are heavy, some are light. 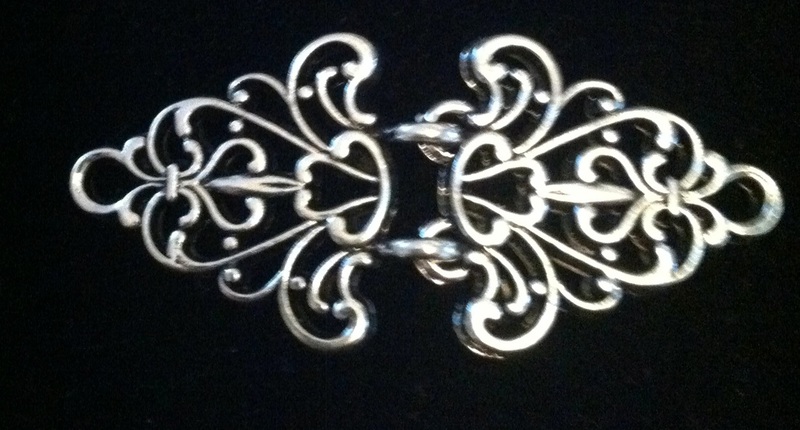 The ones with chain offer an endless chain (included) to allow for variable distances in your closure. 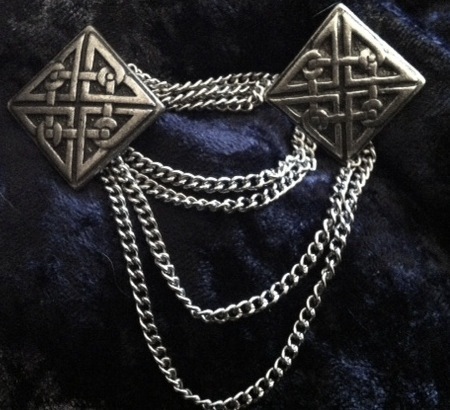 Create a dramatic garment by accenting with a unique clasp. 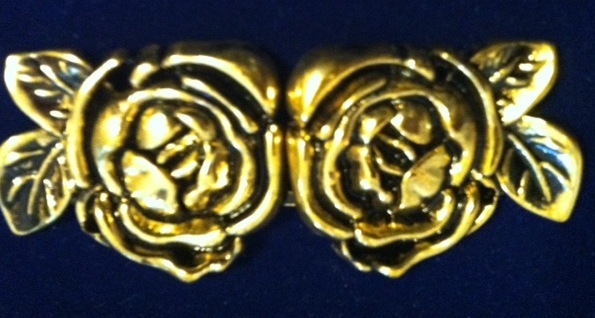 Mutiple clasps can also be worn on the same garment. 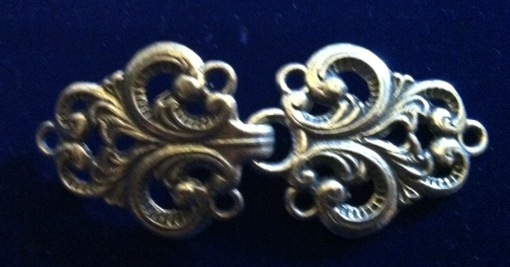 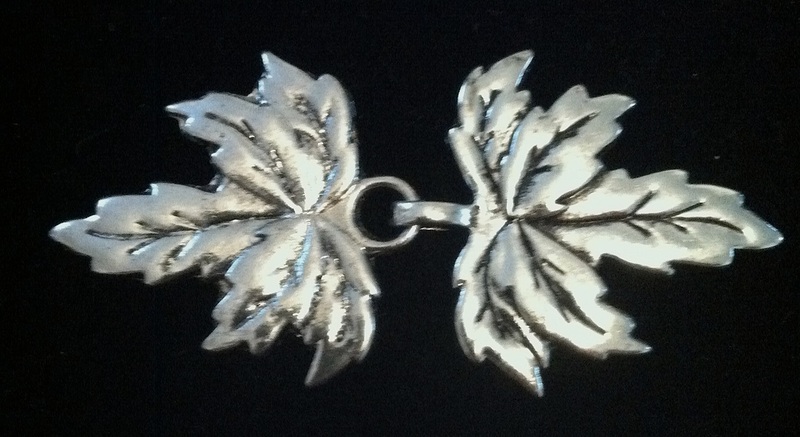 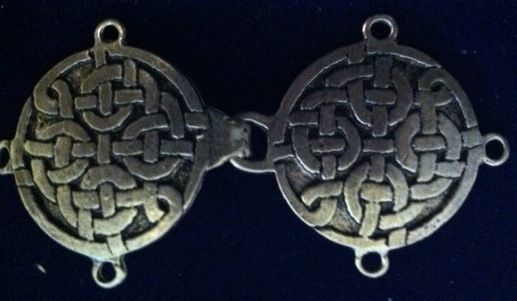 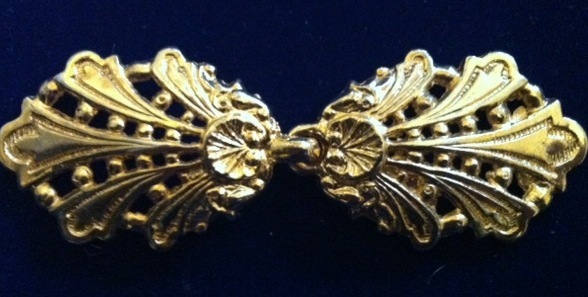 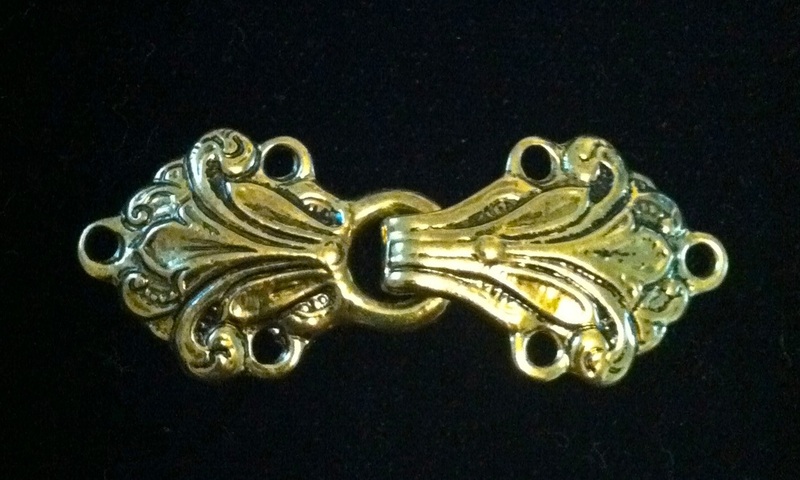 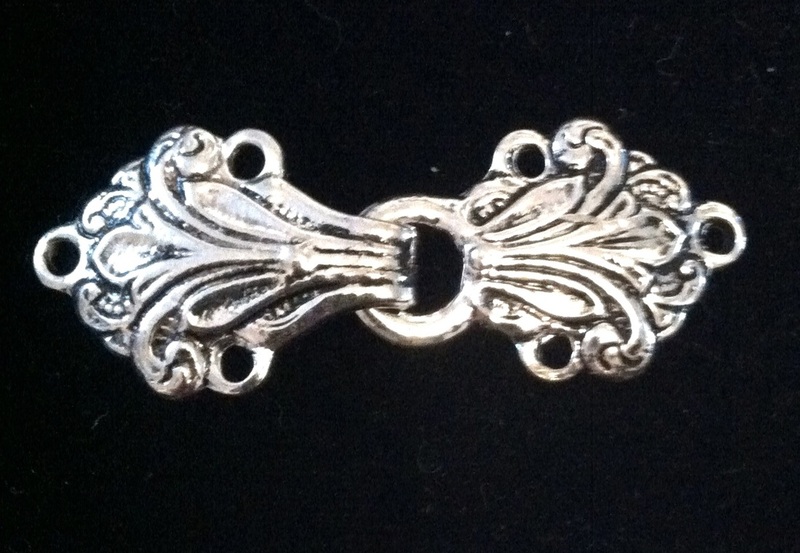 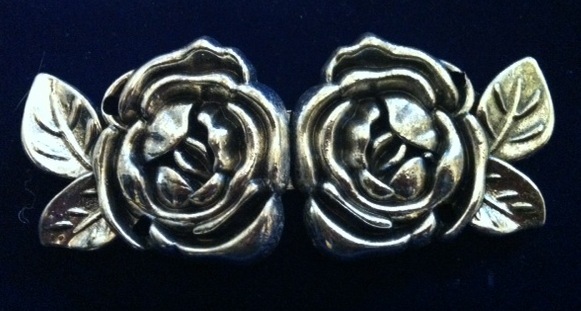 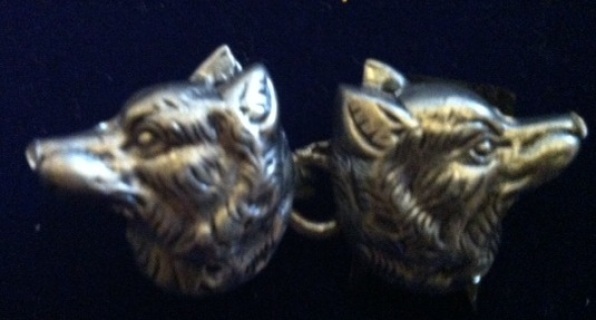 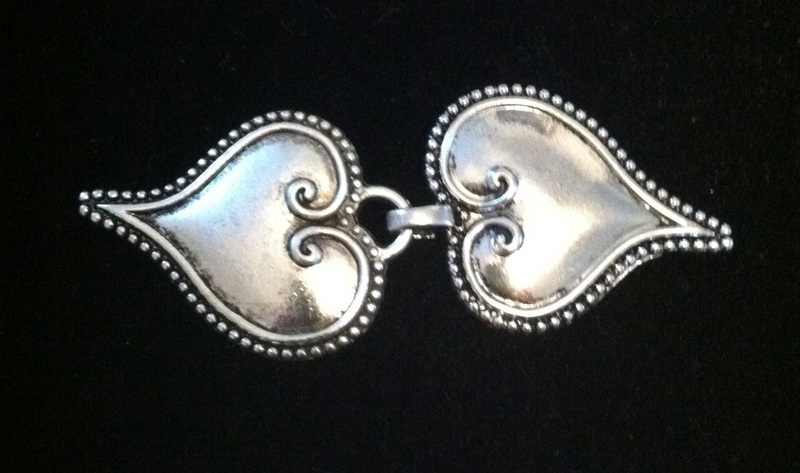 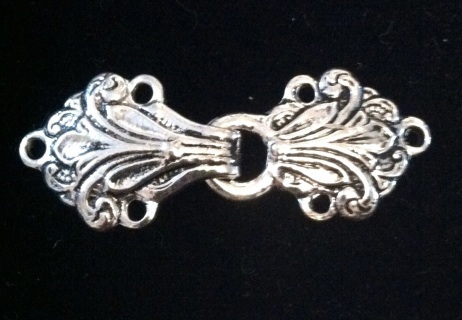 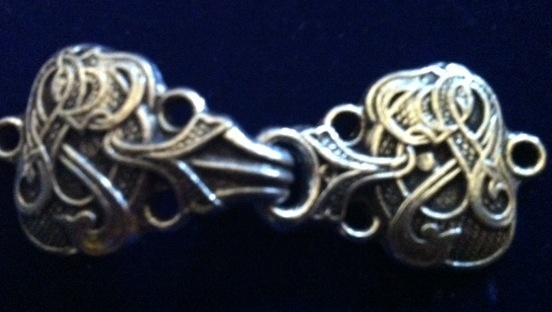 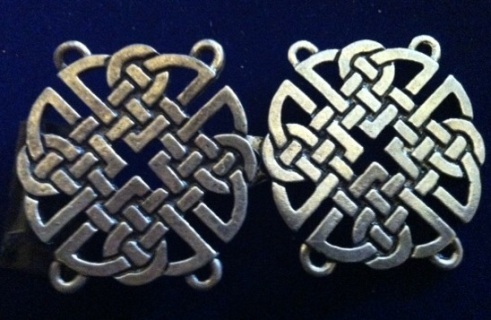 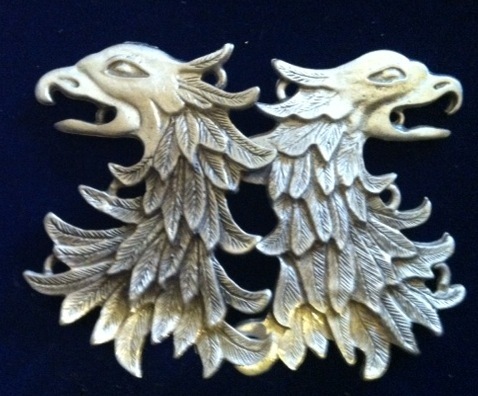 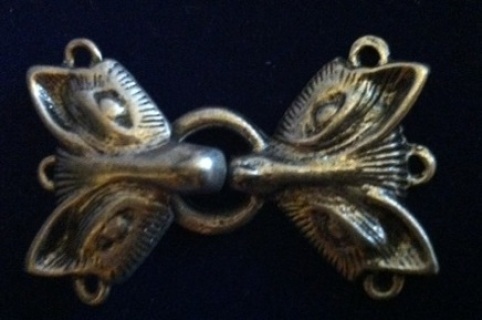 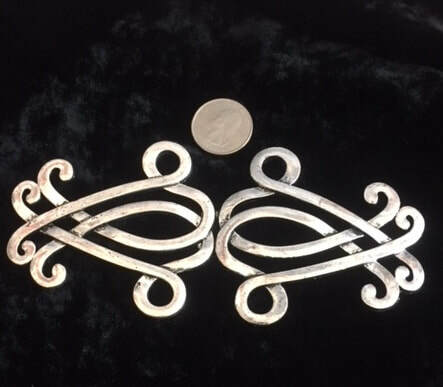 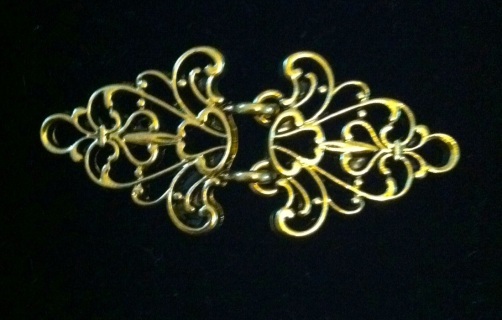 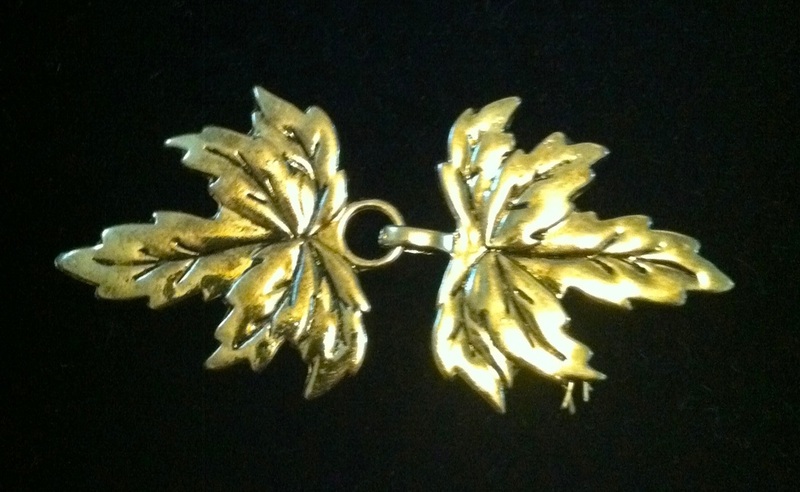 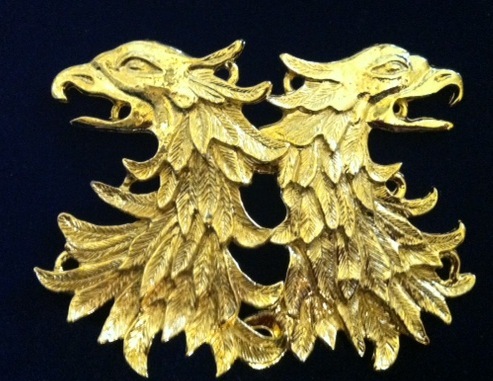 I WELCOME WHOLESALE or retail ORDERS FOR THESE CLOAK CLASPS… CONTACT FOR GREAT PRICING. 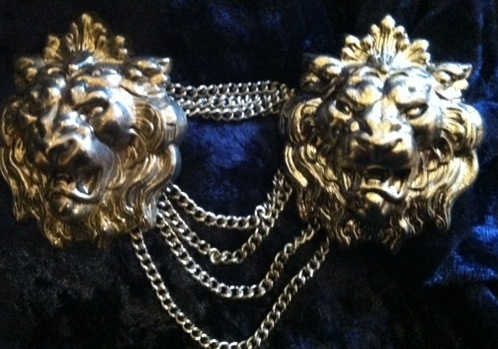 minimum order for wholesale pricing is 250.00 .. all unsold items can be exchanged for full credit towards other styles. 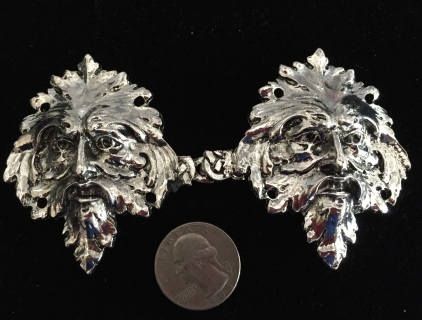 FREE SHIPPING TO ALL U.S. LOCATIONS!!!! 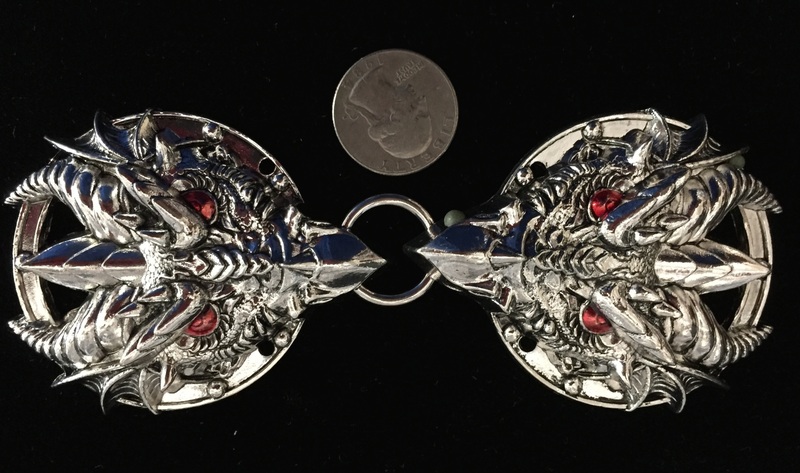 Red eyed dragon cloak clasp 2 by 2.5 inches. sew on style... thick silver plated very durable heavy metal. Sew on style green man cloak clasp... thick durable metal. 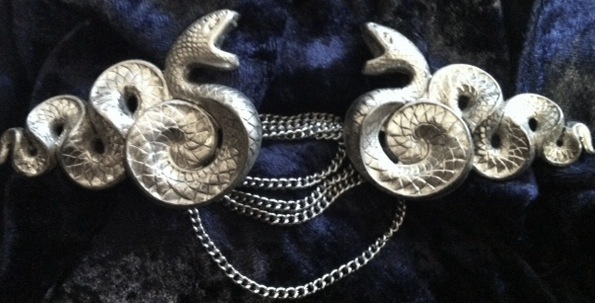 these snakes are each about 2 inches from left to right, screws onto garment and can be worn on multiple garments.